A Pap test, or Pap smear, is part of a woman's annual wellness exam. The Pap test involves extracting a small sample of cells from the cervix. These cells are examined, in a lab, for abnormal cell changes. The Pap test is used in diagnosing cervical cancer and human papilloma virus, or HPV. An abnormal Pap smear doesn't necessarily indicate a condition like HPV or cervical cancer. Pap smears detect any changes within the cervical cells, not just cervical cancer. 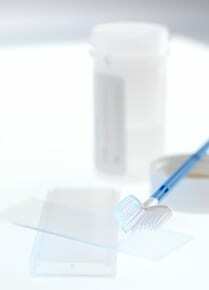 Abnormal Pap smear results may indicate other conditions such as inflammation or infection. False positives are also possible from Pap smears, however further testing is recommended to protect your health whenever the Pap smear is abnormal.